Summer is actually a great time for planting. Our humidity, heat and rain give most plants the boost they need to get established quickly. If we are not getting the rain, new plantings will need water, but all other conditions are conducive for growth. As a nursery, our walk-in business slows down over the summer, which is why we reduce our on-site inventory and our hours to Friday & Saturday only. To help you get the plants you need, we are offering our Plant Concierge Service where you can get your landscape plants brought in straight from the growers and take advantage of this growing season. Call in the landscape plants that you need. We will let you know the price and the date we will have them (usually within a week). We will get the order placed with the growers when we receive your 50% deposit. We will let you know when you can pick up your plants or we also have our delivery service available. 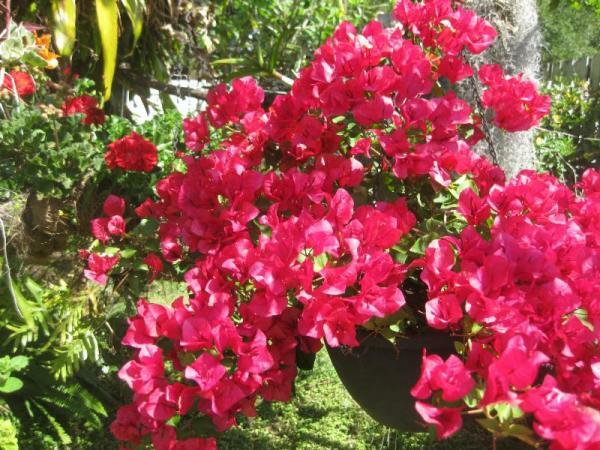 PLEASE NOTE: This service is mainly for landscape shrubs and palms that you would usually see in our inventory and are available through the various growers that we get our plants from. something we can get for you.